Linda Hogan has been divorced from Hulk Hogan since July 28, 2009. They had been married for 25.6 years. 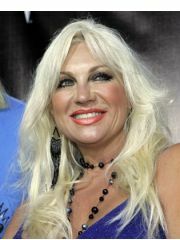 Linda Hogan is currently available. Where and/or how did Linda Hogan and Hulk Hogan meet? Hulk Hogan and Linda Hogan met in a Los Angeles restaurant. Why did Linda Hogan and Hulk Hogan break up?